This entry was posted in Blog and tagged Bible, Faith-based games, Mobile Games, Play the Bible on March 22, 2016 .
http://www.playthebible.com – Great Words! Great Characters! Great Fun! In this multicultural world of many religions, people are often disenchanted by the idea of religion – it is often associated with politics as an important topic not to discuss with a friend unless you want to start a debate – because everyone has their own ideas about matters of faith. Throughout history, many wars have been started in the name of religion. But people of nearly all faiths agree on one thing – JESUS lived a remarkable life. He lived what he taught, that we should 1) love God with all our heart, and 2) we should love our neighbor as ourselves. Jesus didn’t teach that we can choose to ignore God because we don’t care. And he didn’t say we can choose not to love someone because of how they act or how they live. He set a golden standard that can provide the world peace, if we follow his command. The Bible today is made up of two sections – the Old Testament – original Hebrew texts (written before Jesus), and the New Testament – (mostly written after Jesus lived). According to Jesus, he came to fulfill prophecy as written in the Old Testament. The New Testament chronicles how he fulfilled more than a hundred of these prophecies. And since Jesus, the Bible as we now have it was formed and has become the most widely distributed book in the history of the world. 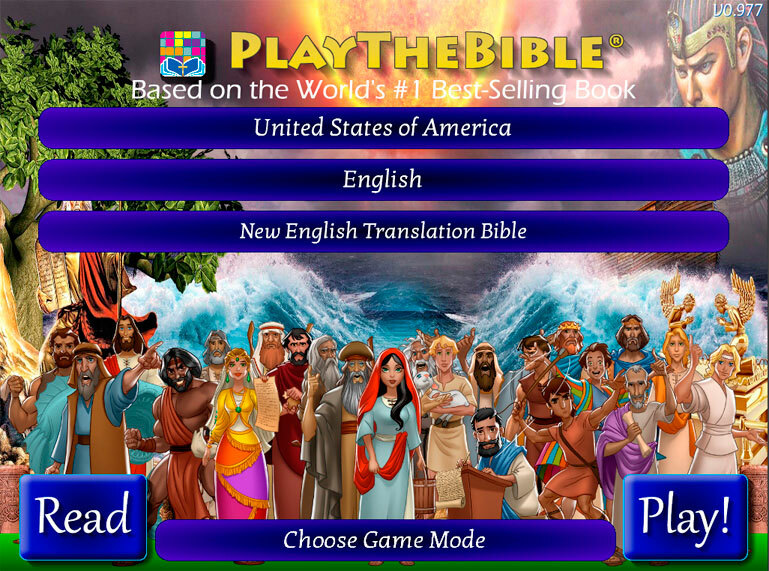 Play The Bible was designed to introduce a new generation to the text of the Bible, and do so in a format that can more aptly compete with today’s entertainment focused world. Presently, the game is more than 90% complete and those Beta testing are reporting that it is already providing hours and hours of fun. At RD Games, we are sincerely hopeful that everyone who gets PlayTheBible will have a great time and be blessed with it’s enduring message which has stood the test of time. Copyright © RD Media Technologies. All Right Reserved.